Denmark’s four leading composers – Poul Ruders, Per Nørgård, Bent Sørensen and Hans Abrahamsen - have allowed the experimental trio Alpha to take their music behind the looking glass and let their works re-emerge in the trio’s very own sound world. 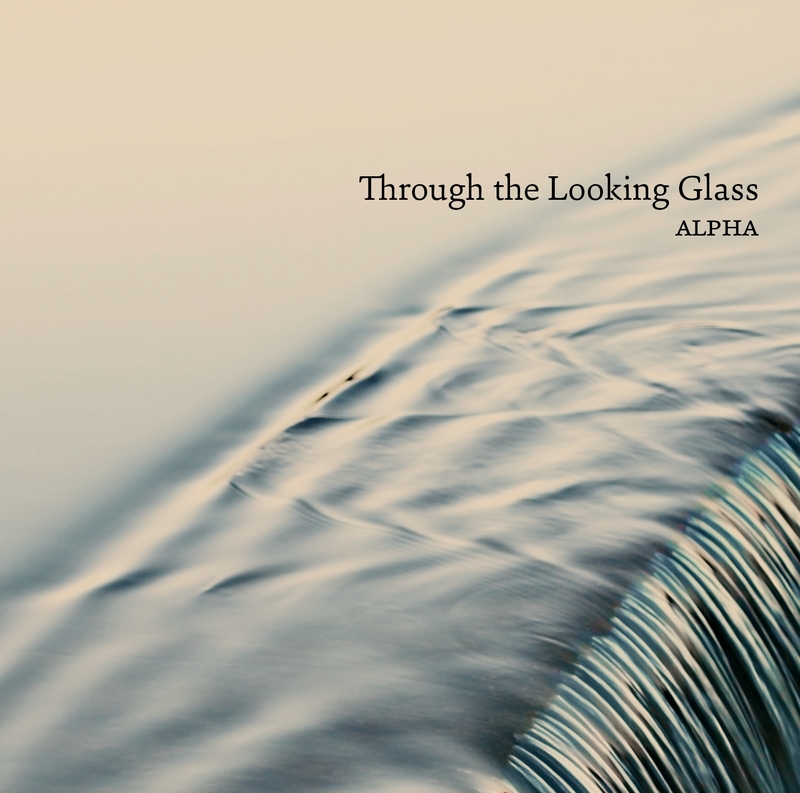 Played and recorded entirely by heart, Alpha’s close encounter with the musical essences of seven different works seems to reveal the form and richness of each composer’s imagination in a new magical reflection. "Med håndbremsen sluppet lykkes det til fulde Alpha at forføre ørerne med en eminent opvisning i vedkommende samtidsmusik." "Lovingly crafted arrangements and performances ... brilliantly played ... intoxicating and enchanting"
Star Prelude 3:22 4,80 kr. Love Fugue 2:35 4,80 kr. Heyday’s Night (1981, rev. 1982) 8:27 7,20 kr. Flowersongs (1973) 9:59 7,20 kr. Schnee, Canon 2a: Lustig spielend, aber nicht zu lustig, immer ein bißchen melancholisch (2008) 7:57 7,20 kr. Looking on Darkness (2000) 9:15 7,20 kr. Carnival (1980) 5:38 7,20 kr. Isternia (1979) 9:23 7,20 kr. To reduce a group of works from a variety of different scorings to fit just three specific instrumentalists is a most unusual process: especially in contemporary music, where normally the composer’s original scoring is assumed to be sacrosanct. In these cases, however, the composers have all acquiesced in their treatment, and no wonder! The resulting music reveals the form and richness of each composer’s imagination in a way that is both startling and joyful. It is like comparing a winter woodland to its appearance six months earlier. Gone is the profusion of colour and sensuous abundance, but instead underlying shapes emerge that were concealed before, and a more muted range of colours displays itself, each one intimately compelling in its singularity. Eventually a new sense of richness is created as the mind and the eye – and the ear – adjust themselves to the world about them. What seems at first glance to be only grey and brown begins to show elements of red, and yellow, and blue, and even green. What further distinguishes this recording is the fact that the performers have had a hand in creating the music, as well as re-creating it. This aspect of music-making plays all too little role in contemporary ‘art’ music, apart from those instances where musicians are asked to improvise – and thus to use a skill that may virtually have atrophied from want of exercise. But improvisation is only one aspect of creative performance, and Alpha’s close encounter with the musical essences of these works seems to have given the trio a precious sense of ownership of the music, even while the works mysteriously and naturally retain their identity with the composers who made them. This idea of music as something ‘open’ – in this case, specific notes and yet open to different instrumentation and therefore different modes of articulation (which in turn open up a cornucopia of possibilities) – is something rare and valuable. And finally the music: it doesn’t sound to me like new music with that slightly forbidding aura of something that may be good for you, but doesn’t frankly quite grab your attention as you secretly want it to. This music does grab and hold onto you. One must therefore give honour where it’s due: to the composers of course. But I think it also has something to do with the way the performers too have re-imagined it, and in the process invented a new level of meaning for the verb ‘perform’. Paul Hillier is widely known as a conductor, singer, author, and founder of Hilliard Ensemble and Theatre of Voices. He is a specialist on Arvo Pärt and Steve Reich, choir music and early music and the recipient of innumerable prizes for his work around music. Recorded in the DXD audio format (Digital eXtreme Definition), 352.8 kHz / 32bit. Microphones: 2 x DPA 4006TL, 2 x DPA 4011TL, 2 x AKG 414 & 2 x DPA 4011TL for surround channels. DAD AX24 converters/preamps, Pyramix DAW system with Tango Controller. Monitored on B&W 802 Diamond speakers.